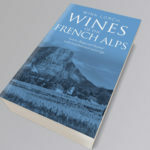 The Kickstarter campaign for my new book, Wines of the French Alps reached its target just over a week ago and is forging ahead towards a new goal – thank you to all who have contributed. In the meantime, I’ve prepared a sample chapter and contents to give you a taste of what will be in the book. This Kickstarter campaign update explains why I am aiming for a higher goal of £20,000. The campaign ends on Monday 8th May at 11pm (23.00) UK time giving you just one week left to grab rewards, which will not be repeated. Most importantly, your name will be in the book as a Kickstarter backer – this won’t be available to those buying the book from this website pre-launch. In addition, every book pledged through the Kickstarter will be signed. The Kickstarter gives you the chance to pledge for the new book at an early-bird price of just £20 (plus delivery outside the UK/France) and if you buy 5 or 12 books, the savings are greater. For those outside the UK, reward amounts are shown in $ or € – the early-bird book price is about $26 or €24. 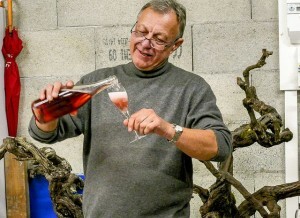 There is also still the possibility to kick-in for the higher-value rewards, which will provide unforgettable experiences to discover the wines of Savoie and Bugey through a tasting event or a visit. 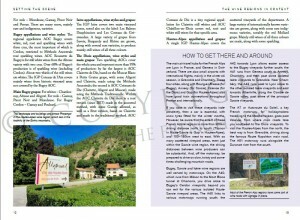 Please do consider being part of this adventure and share the word with your wine-loving friends. I’m humbled to have had pledges, shares and encouragement from other wine writers including Jancis Robinson MW, Jon Bonné, Monty Waldin, Alder Yarrow and José Vouillamoz. 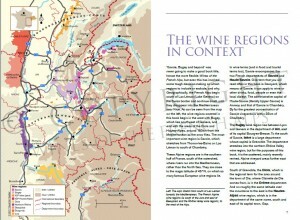 In addition, wine blogging friends have written posts about my book and their love for Savoie. You can read this from Magnus Reuterdahl in Swedish or this from Arnold Waldstein in New Yorker-speak. 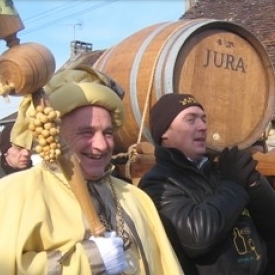 And, Social Vignerons encouraged me to write a post about the campaign too. The book, of course, is in preparation. Click on any of the images or here to download a pdf sample (please give it some time to download). 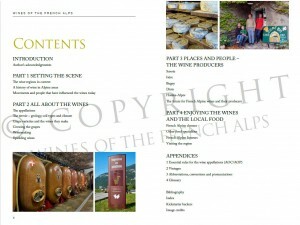 The pdf consists of the contents and a sample chapter. I stress, this is a sample so details may change when the book is published. 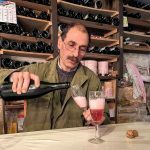 Don’t miss out on this chance to help not only me to fund and complete this new book on time, but also the vignerons of the French Alps – of Savoie, Bugey, Isère, Diois and Hautes-Alpes. 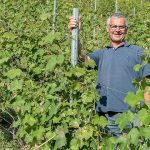 They need a boost too as like in Jura, many other French wine regions and elsewhere in northern Europe they have been hit by terrible spring frost damage, many losing between 30% and 100% of their 2017 crop. Support the Kickstarter campaign here. I will be celebrating the end of the campaign in London, hosting a Savoie wine and food tasting with my partner Brett Jones and with Joelle Nebbe-Mornod of Alpine Wines. If you can be in London late afternoon or early in the evening of Monday May 8th and wish to join us, please get in touch. We are based just 20 minutes’ walk (or a bus ride) from the venue of The Real Wine Fair, happening also that day (trade only) and for consumers on Sunday 7th May.